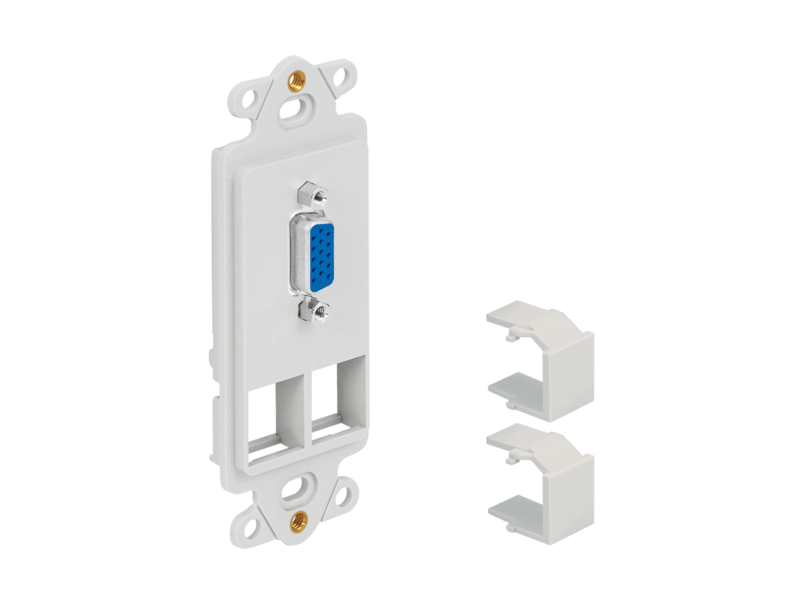 This insert has two open ports on the bottom for any of our standard modular connectors. The 15 pin RGB is used for linking a monitor to a computer. This insert will fit all ICC's Decorex faceplates: Single, Dual, Triple, and Quad gang faceplates.